The houses of Royal Cresent. 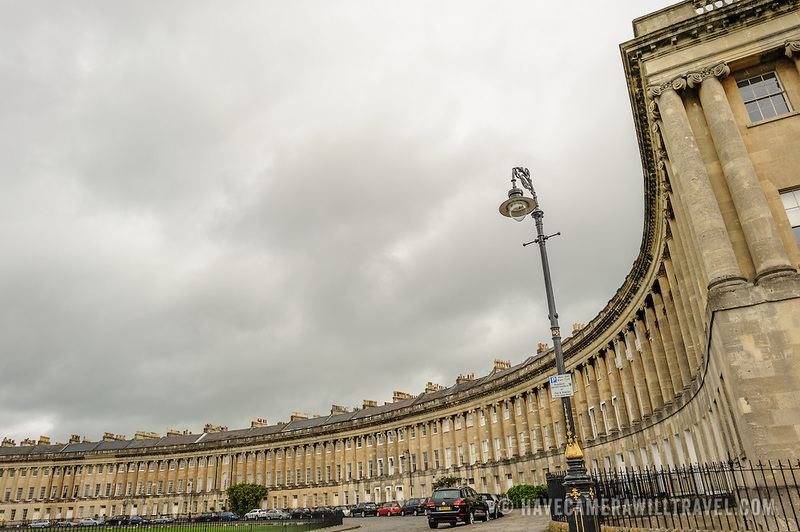 The Royal Crescent is a street of 30 terraced houses laid out in a sweeping crescent in the city of Bath, England. Designed by the architect John Wood the Younger and built between 1767 and 1774, it is among the greatest examples of Georgian architecture to be found in the United Kingdom and is a Grade I listed building. Although some changes have been made to the various interiors over the years, the Georgian stone façade remains much as it was when it was first built.